Kateri Native Ministry is has been committed to the healing, reconciliation and spiritual growth of Indigenous people for over 20 years. Our headquarters is in eastern Ontario and serves in communion with the Roman Catholic Archdiocese of Ottawa and with our Outreach Missions we are now touching the hearts of people across Canada. Our Patron Saint, St. Kateri Tekawitha, 1656-1680, was an Indigenous lay woman who converted to Catholicism at the age of 19. 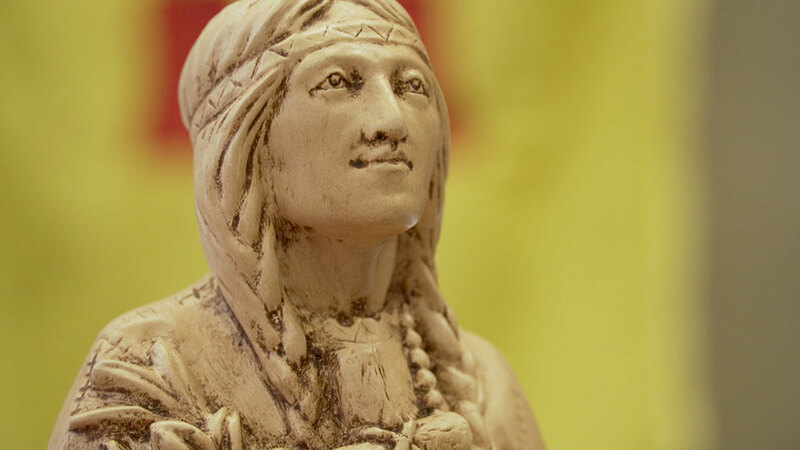 Known as the Lily of the Mohawks, she is an inspiration for her humility, faith and devotion. A number of miracles have been attributed to her, and there are several shrines devoted to her across the United States and Canada. In 2012 she was canonized by Pope Benedict XVI. 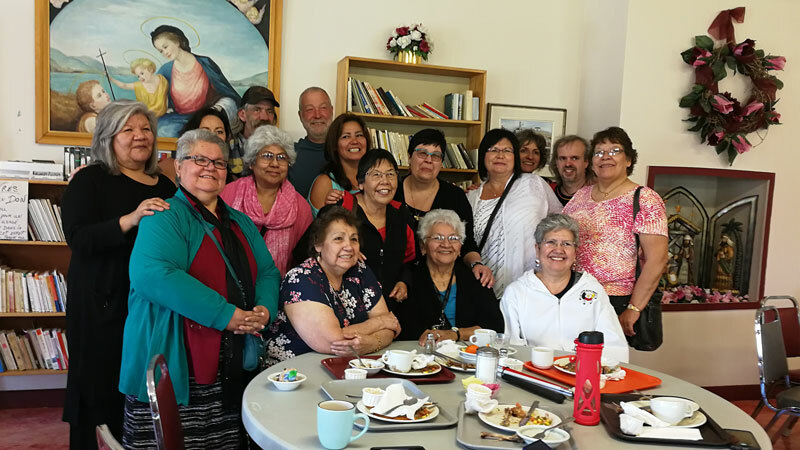 Every aspect of our ministry is designed to give our people healing, reconciliation and a sense of belonging in Creation by asking God to reveal the truth and power in Christian and Indigenous spirituality. 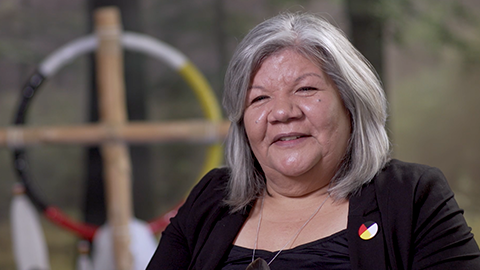 With a Master’s Degree in Social Work, Donna has been helping Indigenous communities for over 20 years. In 2016 she became Kateri’s Executive Director in addition to her recurring role as a lead singer. 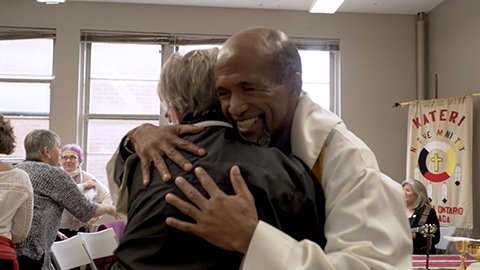 Hasina was ordained as a Jesuit priest in 2009 and it wasn’t long until he first connected with Kateri. We are overjoyed to welcome him aboard as our priest, and not just because he is a great guitar player.